As a university with a strong commitment to equity and access, we believe that people should have equal opportunities for further education. 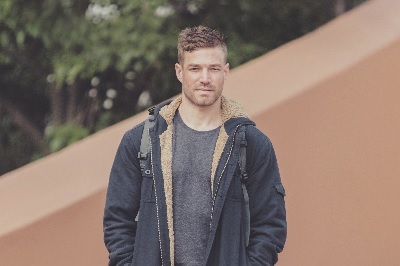 Whether you have no previous qualifications or you’ve already studied at a tertiary level through university, TAFE or another registered training organisation (RTO), UniSA offers a range of entry pathways to university study. If you completed year 12, no matter how long ago that was, you may still be eligible to use your year 12 results, providing you have not completed more than two years of equivalent full-time tertiary study. Did you know you could be eligible for guaranteed entry? UniSA Preferred is a scheme that offers guaranteed entry into many UniSA programs. If your Selection Rank (e.g. your ATAR plus any adjustment factors) meets the UniSA preferred score for that program, you have met prerequisites and you have listed the program as your first preference, you will receive a guaranteed offer. If you are applying for a competitive degree and don’t think you’ll meet the entry requirements for direct entry, you may consider preferencing a degree in a similar field as a pathway option. UniSA College Diploma and Foundation Studies programs are designed primarily for people who do not have the qualifications required to get directly into a bachelor degree, providing options for a supportive pathway to UniSA. You may consider including these programs at the end of your SATAC application. Upskilling with no prior qualifications? Maybe you didn't complete year 12 and haven't studied since. Maybe you've been working for some time with no prior qualifications and are seeking to upskill or formalise your skills and experience. You might be seeking a career change and need further qualifications to take that next step. If this sounds like you, we have a range of alternative pathways to help you gain entry. Complete a two-year diploma, then enter second year of a UniSA degree. Complete the one-year Foundation Studies program, then apply to enter first year of a UniSA degree. Complete a two-year program in engineering, then enter the second year of the related degree. Interested in studying with UniSA Online? You may be eligible to sit this online literacy and numeracy test, offered through ACER. Apply using a certificate IV, diploma or advanced diploma from TAFE or another Registered Training Organisation (RTO). You may also receive credit for your study or be eligible for guaranteed entry. 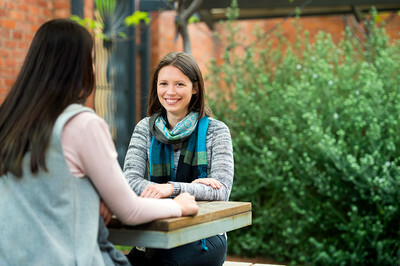 Complete a diploma through the South Australian Institute of Business and Technology (SAIBT). Then enter second year of a related degree. A minimum Grade Point Average (GPA) is required. If you are over 18 and haven't completed more than two years of full-time tertiary study in the last two years, you can sit the STAT for entry into UniSA programs. Have you spent time at university before? 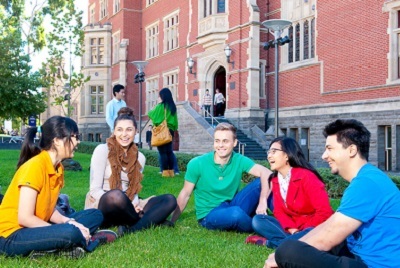 Whether you have studied at UniSA, through Open Universities Australia or at another university, you may apply to transfer based on your grade point average (GPA). If you have completed no more than two years of equivalent full-time tertiary study, you may be able to use your past year 12 results. You will need to check if your results are competitive with the current year 12 ATAR scores. Contact our Future Student Enquiries Team to discuss your options. A completed certificate IV, diploma or advanced diploma from a TAFE or RTO may be all you need to apply for a UniSA degree. Through our UniSA Preferred scheme, many programs offer you guaranteed entry if you have a TAFE/RTO diploma or higher, you meet any prerequisites and you list the program as your first preference. If you have studied in a relevant area at TAFE or another RTO, you may be able to fast-track your bachelor degree by obtaining credit. Use our online credit assessor to give you a guide on the amount of credit you may receive for your previous study. Your previous studies may contribute towards credit, exemption or advanced standing in the program you intend to study. UniSA has credit transfer agreements with institutions in many countries. Find out more about these on our Credit Assessor (opens in a new browser window). If you have studied at an institution which is not listed in the database you may still be eligible for credit. Please contact UniSA International for details. Not sure that any of these fit you? We're here to help. We recognise that it can be difficult to determine which pathway is your most suitable option. Contact us to book a one-on-one appointment where we can review your individual situation and options.